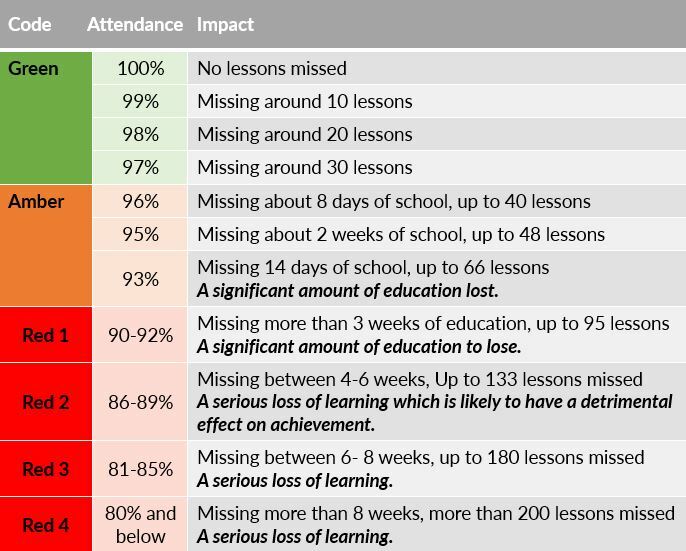 There’s a clear link between poor attendance at school and low levels of achievement. Poor attendance can disrupt a student’s own learning and that of other students. It has a damaging effect on a child’s education and most of the work missed while a child is off school is never made up. Students who attend school regularly are likely to leave school with more qualifications and increased access to employment opportunities than children with persistent absence. Children with persistent absence are at increased risk of involvement in crime, child exploitation and anti-social behaviour. A student is defined as a ‘Persistent Absentee’ if they miss approximately 10% or more of all possible school sessions, regardless of whether the absence is authorised or unauthorised. What are the consequences of Persistent Absence? Parents/carers have a legal duty to ensure their child who is of compulsory school age receives an efficient, full time education. Therefore if your child has no unauthorised absences and their attendance is at 96% or above, you are giving your child the best chance to achieve their potential. If a parent or carer fails to secure their child’s regular attendance at school, they could be found guilty of a criminal offence under section 444 of the Education Act 1996 , unless the absence has been authorised by the school. Why is there a law about poor school attendance? The law is there to protect children who have poor school attendance. Unauthorised absence from school can be a cause for concern in relation to child welfare, safety and protection. Under the Education Act 1996, parents and carers have a legal duty to secure their child’s regular and punctual attendance at school. As well as being a legal requirement, it also ensures your child has access to the best start in life and that they are able to benefit fully from the education they’re entitled to receive. 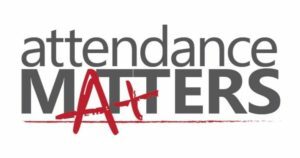 Good attendance is vital in enabling students to maximise the opportunities available to them. You can only allow your child to miss school if he or she is ill, or if you have advance permission from the school. Absence requests will only be granted in exceptional circumstances. You can be fined for taking your child out of school without advance permission from the school. Permission for absence will only be granted in exceptional circumstances. The headteacher will consider each absence request individually and decide whether to grant the absence. The headteacher will also decide how many days your child can be away from school if the absence is granted. A fixed penalty notice of £60 within 21 days, or £120 within 28 days.